Our team is involved in fundamental and applied researches on plant pathogenic phytoplasmas, virus and bacteria, focusing on insect vector transmission, epidemiology and control. 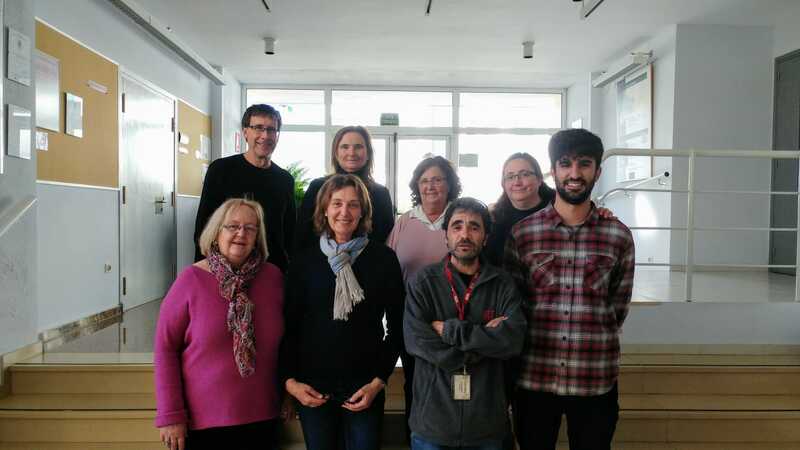 The overall objective of the team is to generate knowledge on insect-transmitted plant pathogens to characterize the diversity of pathogens and cycles in the Iberian peninsula to propose integrated control strategies. Phytoplasmas are plant pathogens limited to the phloem, naturally transmitted by sucking insects of the Hemipteran order. There is no curative treatment for phytoplasmas, for this reason, the control strategies are oriented to avoid the infection. The main tools are quarantine normatives, inoculum elimination, and insect vector control to interfere on the pathological cycle. Our research focuses on the determination of the etiology, genetic diversity, plant-host range and insect-vector species and its control, especially for Stolbur phytoplasma and the group X of fruit tree phytoplasmoses.